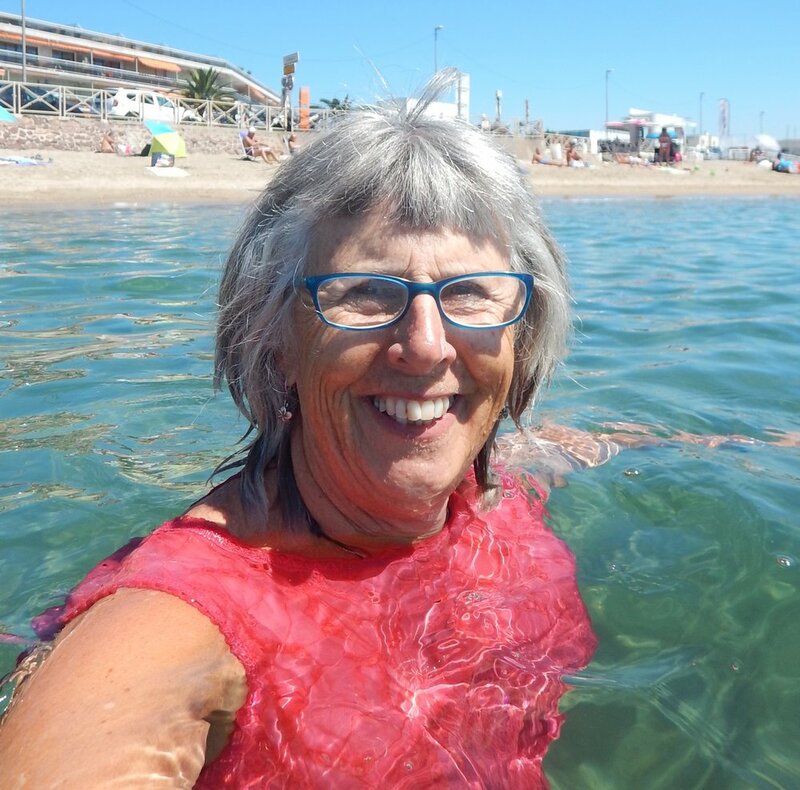 I've swum/snorkelled at all four main beaches of the French Riviera. Starting from the southern end at St Tropez I spent a couple of days mooching around, found a nice pebbly little cove for snorkelling and long sandy beaches for swimming. I love this photo. I was a bit thrilled to find an old wooden boat called St Stopez. A beautiful pair of old anchors in the breakwater. How fabulous is this. A Sant Troupes boat!! Private pebbly cove near st tropez, perfect for me. Hey, I'm snorkelling in the Med!! 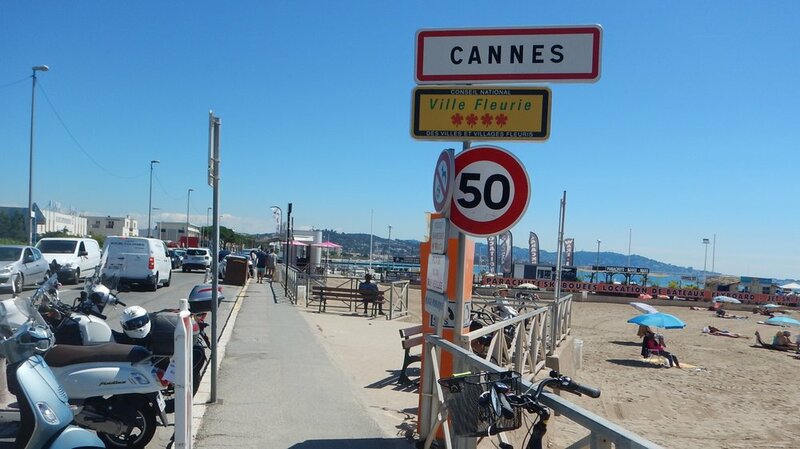 riding north- east along the coast I come to Cannes, convenient moto parking. Lovely little beaches and bridges all along the coastal road. Drying off a little before I head off to lunch in Nice. Cannes Carlton. No sign of Margaret or David. I wonder what they are doing now?? 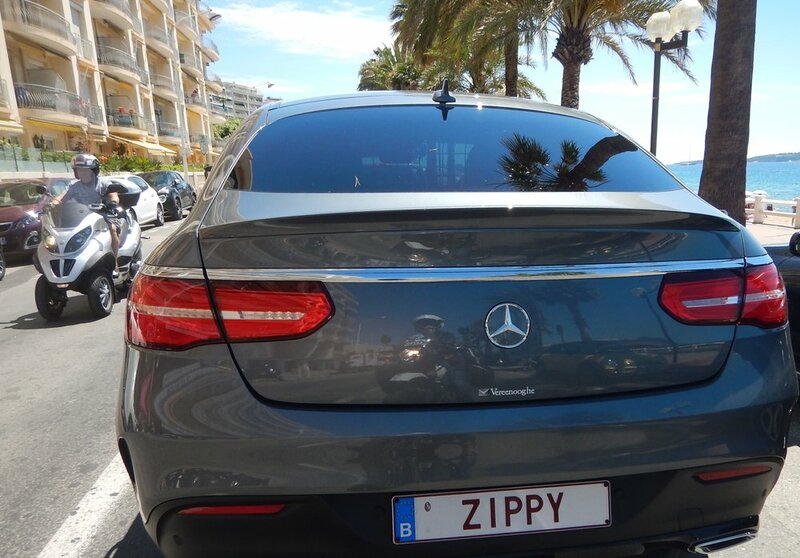 My reflection in Mr Zippy's Merc. A pebbly beach just across from a cafe strip. My blue bag being minded by Harri. More about my stay in Nice in Nic's "farinata and Nic's letter challenge F"
and then the richest of the rich seem to hang out in Monte Carlo. Someone from the yatch club, I'm thinking not the Commodore. Swimming in Monaco, Water craft of all shapes and sizes along the coast. This cruiser was not even one of the big ones! and didn't fit into the marina! Harri sunning himself at Monaco. On this beautiful little cove just along from the Monte Carlo Marina. Parked outside the Monaco Yatch Club, this Roller may belong to the Commodore. Monaco Yatch Club building is the multi-storey building in left of photo. The black hulled water craft are really eye catching. Just inland from St Tropez is the village of Saint Exupery. I was wondering where the little prince might be when I rode past a hotel. " the petit prince". Cool. And now for the hat story. Bon jour Monsieur, que'l belle barbre. He's stoked and goes off with an extra spring in his step. Meanwhile I continue back to my guest house and attempt to relay the conversation to my friendly host. From what I can understand, the young fellows were wishing me a pleasant day, and I guess the intention of my well practiced phrase was exactly the same.